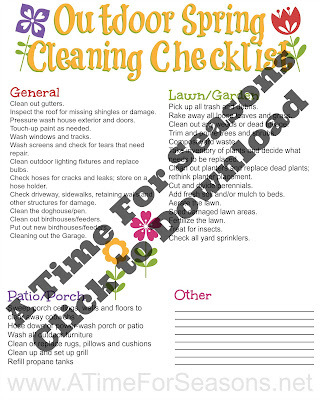 Last year I shared my Spring Cleaning Checklist and 8 Forgotten Tasks of Spring Cleaning. 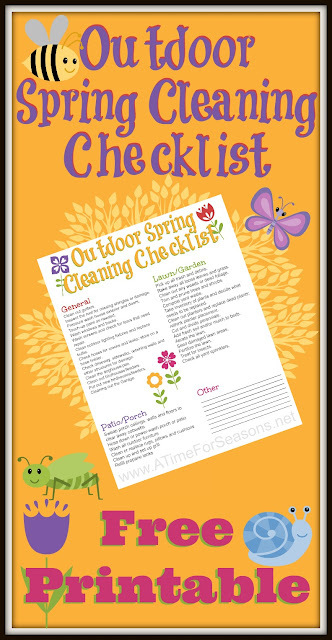 This year I have decided to expand those lists to include an Outdoor Spring Cleaning Checklist. 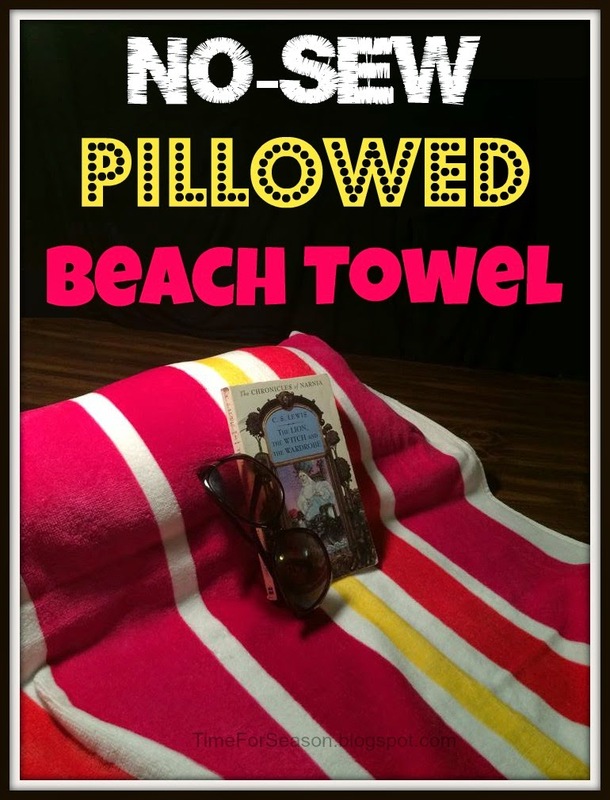 As I started this post, I had to push through the $%^*& symptoms of seasonal allergies. So needless to say, I had to resist the urge to include "Annihilate all pollinating plants from your yard and concrete EVERYTHING!!" on my checklist. Some helpful items you WILL find on the checklist include: Clean out the gutters, Wash outdoor furniture, weed the garden and more! This list is free for you to print, copy, and use for personal use. As long as you leave the watermark at the bottom, do not claim them as your own, and do not charge for a copy you are welcome to GIVE them away in any setting. Enjoy! !